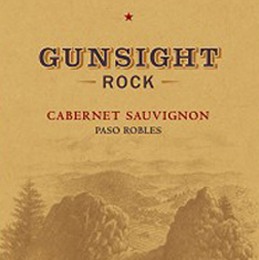 The spectacular view from Gunsight Rock – towering 2700 feet above Sonoma County – is of vineyard-carpeted valleys as far as the eye can see. On a clear day, you can catch a glimpse of the Pacific Ocean to the west and San Francisco to the south. It’s the perfect spot for anyone who appreciates the beauty of California’s wine country. Paso Robles Wine Country is an AVA located in the San Luis Obispo County, California. It has approximately 26,000 vineyard acres planted with wine grapes and is well known for its heritage varietal Zinfandel, Rhône-style wines, and "Crazy Blends". Whether the varieties are Spanish, French, Italian, or, as with Zinfandel and Petite Sirah, Paso vintners can tinker with blends and styles that would be unfeasible in other regions more bound by tradition and consumer expectations. Grapes were first introduced into the Paso Robles area in 1797 by missionaries but commercial wine growing wasn't started until the 1880s. Since 1990 a large expansion of activity has seen the number of wineries rise to more than 200 today. In 2013, Wine Enthusiast Magazine awarded Paso Robles “Wine Region of the Year” for excellence in wine quality and innovation.